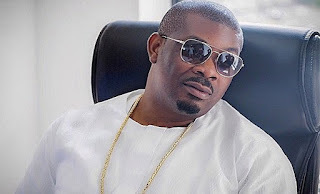 According to Mavin Records boss and ace music producer Don Jazzy, he’s a very lazy guy and he shared to the world the form of exercise he engages in. It’s very mysterious as in a video he shared on his SnapChat account while chatting and walking with Dr Sid at the Ikoyi bridge, he said he does not engage in any form of strenuous activity or exercise other than knacking (another word for having s£x). “Let me just say the only form of exercise I engage in is knacking” He stressed.